I told you all about my goal to NOT buy yarn until I had completed 58 workouts. Well, that plan is not quite as motivating as I had hoped. You can see by the calendar posted above that I did better on the workout front in February than January (200% better!) But it was still pretty weak tea as far as effort goes. Imagine this in black, turquoise and red! I have also started a pair of plain vanilla Valentine socks for my husband. Nothing says "I Love You" like knitting a pair of cashmere blend socks for someone who has giant feet. That's commitment folks. I have finished the first sock and have already turned the heel on the second- so he might even get them before March is through. (Just in time for it to get warmer you say. Ba Humbug, I retort. Haven't you heard? Winter is never going away this year.) 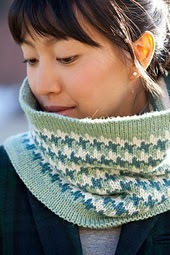 These are being made with a lovely rogue skein of Hazel Knits Entice MCN. Here's an new addictive knit: Linden Mittens by Jane Richmond. I love this new mitten pattern! 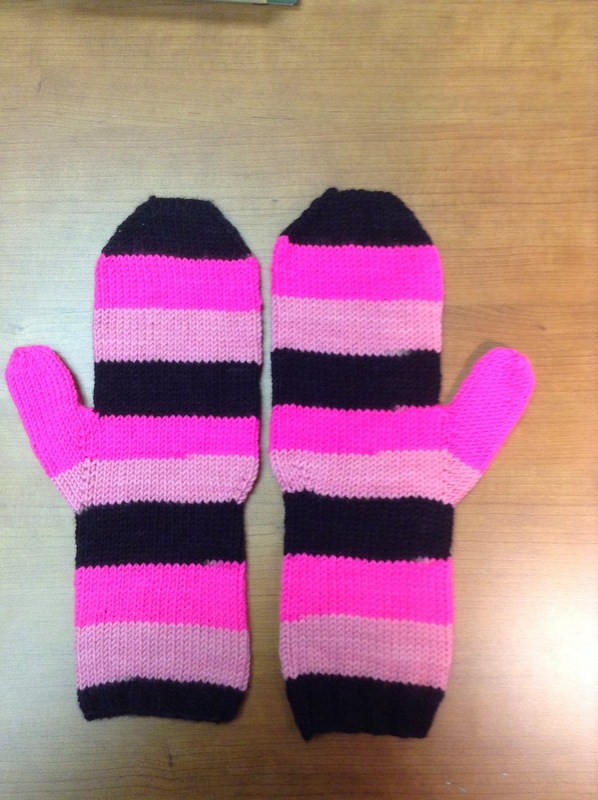 I could, and likely will, knit these mittens over and over again! And as you can tell I also have a deep affection for self striping yarn too. Well, I had better put more effort into destashing because it seems like not buying yarn is not working so well. Although I am trying very hard to be mindful of what I am buying and to plan projects from stash first. I destashed 2,320 yards in February so I figure that I am still ahead in the game. 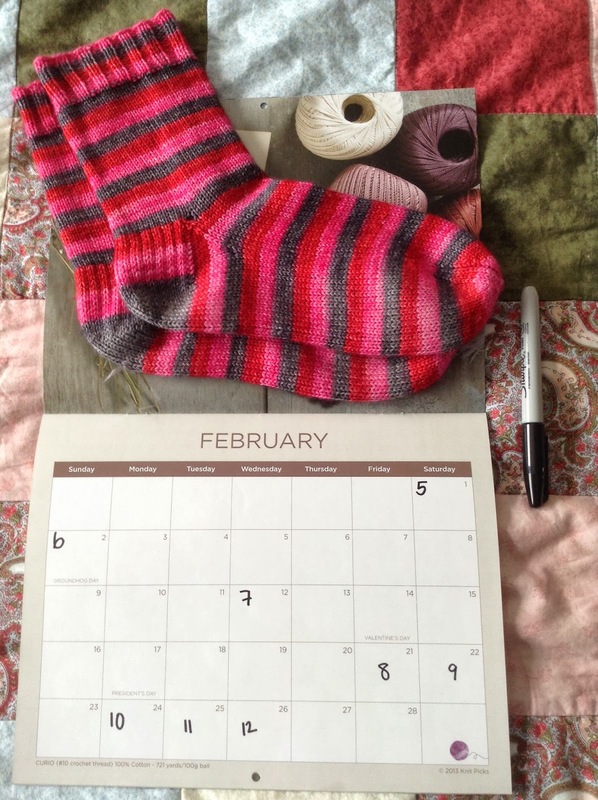 March will be another issue as I may have looked at (and maybe purchased) sock yarn on the Webs website yesterday... this will only be a problem if I can't accomplish 46 workouts by the end of the month.